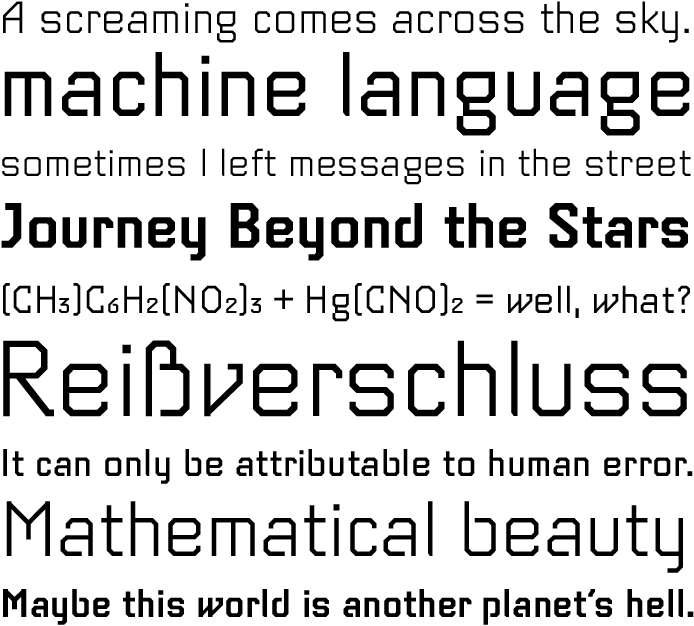 Videon is an experimental typeface which consists of only straight lines. Key features include consistently slanted edges, optically similar letter widths, and gaps where the connection of the stroke would otherwise look a bit boring. The most conspicuous letters for the observer are almost certainly A, V, W, v and w. Though they usually require more spacing, here they are slanted on just one side. The numerical digits are just as idiosyncratic. In smaller font sizes, Videon is amazingly legible, and in larger font sizes it is a real eye-catcher.